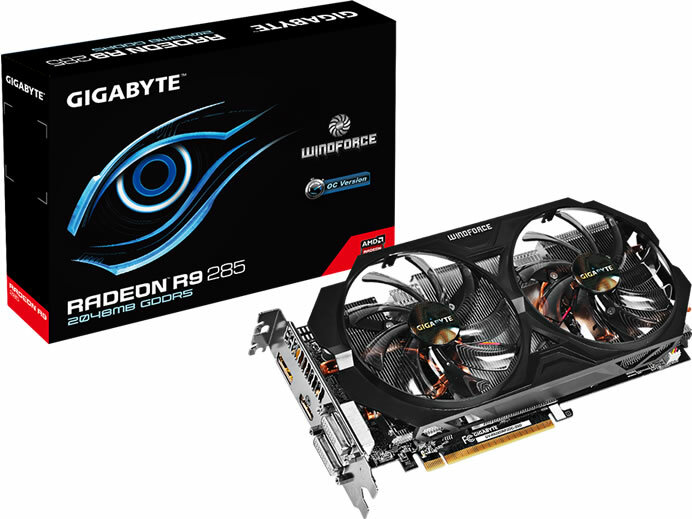 Gigabyte today announced the release of GIGABYTE Radeon R9 285 Overclock Edition Graphics Card GV-R9285WF2OC-2GD. 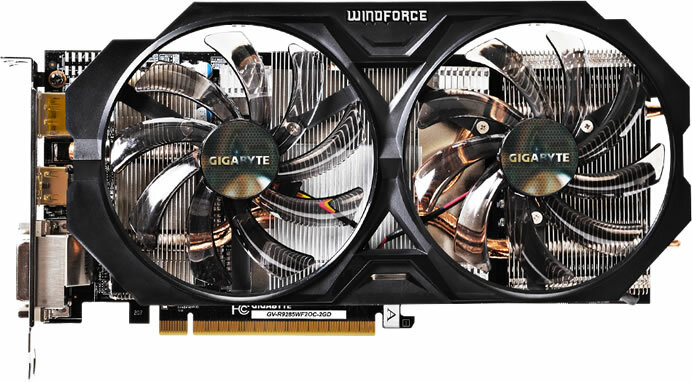 With 1792 GCN (Graphic Core Next) stream processor and 2GB high-speed GDDR5 memory running at 256-bit memory interface, this graphics card performs fantastically for gamers who demand the best. The GV-R9285WF2OC-2GD is reinforced with WINDFORCE 2X cooling system that features the inclined fin design with two 100mm inclined fans and two pure copper heat pipes, putting together an extremely powerful anti-turbulence cooling mechanism without generating distracting noises. The enlarged air channel on the graphics card vents enhances heat dissipation of hot area right underneath each fan and effectively speeds up the air flow for achieving a superior cooling capacity! By using GIGABYTE exclusive OC GURU II, users can monitor and tune all critical settings such as GPU clock, memory clock, fan speed, and power target. With advanced video features such as color correction, image sharpening and noise removal, AMD App Acceleration takes HD movies to a whole new level with incredible details and stutter-free display. And when it is time to multi-task, the optimized GCN Architecture is more than ready to make running everyday applications fast and effortless.